Second only to website creation, one of the most widely spread use of all of the information that can be obtained from the Internet is the creation of an eBook from gathering targeted specific information about a particular subject. You see them everywhere. Some are free and some are not. To some it may seem a daunting task to write an eBook. 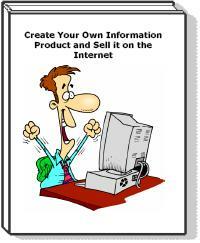 In the following article I will lay out the basic steps it takes to create your own eBook product. You may have already picked an idea or already have several ideas. If not the best places to get an idea for a new eBook is to visit forums on the Internet that are based on a particular topic you are interested in or have some experience with. Maybe you love cooking and know lots of specialized recipes for the greatest home made cakes ever baked. Maybe you know a lot about little league baseball coaching, maybe you are an avid wildlife photographer. Seek out forums on the Internet pertaining to these subjects and read a few posts to see what kind of questions people are asking about them. It won't take long before you get an idea of what kind of questions you could answer in your eBook. So by now you should have at least one idea of a subject for an eBook. Next you want to research the subject and gather more information about it. So how do you do this? Well you could continue to read more forums related to your subject matter or you could speed up the process and see if someone else has already covered the topic in some way and get information from their work. Now I am not advocating plagiarism here at all. You want your work to be original and fresh, but you can use other informational products to help you explain your subject matter. So using your favorite search engine you can search for something like this: "fly fishing + ebook". This search will get you a list of results that are related to your subject matter and already written into an eBook. Now another slick idea is to search for PDF documents since most all eBooks are saved in PDF format. So you could do a search like this: filetype:pdf "fly fishing". These are but two examples of how to find already written reports and eBooks on your subject be creative and I think you'll find other ways of finding them. The key is you want to find free resources to use for gathering information for your eBook.